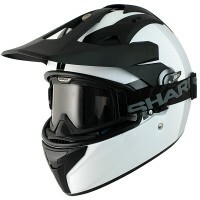 Price Range £277 - £400Price RangeSimply drag the slider bar to set your price range. 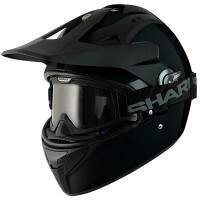 The Shark Explore R is a full face, dual sport helmet for all terrain use. 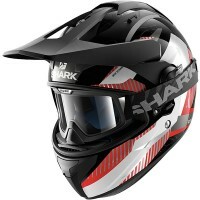 Based around Shark's new Vision shell, it has one of the best panoramic fields of vision for a dual sport style helmet currently on the market. 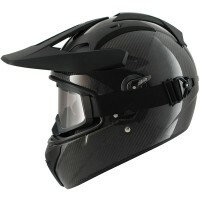 The Explore R is constructed from carbon aramid fibre and multiaxial glass fibre making it extremely light and strong. 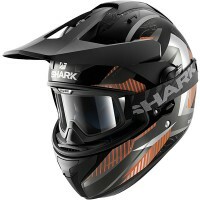 Other features on the Shark Explore R helmet include; a removable and adjustable peak, drop down internal sun visor and a choice of using integrated goggles or a traditional outer visor. 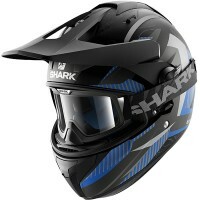 There is also a planned location for Shark's Sharktooth Bluetooth system.